Dyson V10 Review – Overhyped or the Real Deal? Sir James Dyson has declared that there is no need to make corded vacuums anymore because the Dyson V10 is that good. A huge statement to make and a great marketing ploy by Dyson. Cordless vacuums are the future but to date have not been able to match their corded counterparts due to limitations of battery run time. Will the Dyson V10 mark a major turning point where they can finally compete? Our Dyson V10 Review goes beyond the advertising hype to find out. It doesn't seem too long ago that Dyson introduced the V8, having only been released in mid-2016. The V8 was a marked improvement on the V6 in terms of power, noise reduction and battery life. With the V10 Dyson have again made some huge improvements compared to the V8. Lets take a closer look at the main features of this cordless vacuum. Exceptional cleaning performance and filtration on all floor types. More powerful and larger dirt capacity than its predecessor, the Dyson V8. Lightweight and easily convertible to handheld mode for above floor cleaning. No suction fade, no battery fade. Improved bin design for better and easier bin emptying than the V8. Floor head brush roll designed to clean right up to the edge. Robust, quality build, built to last. 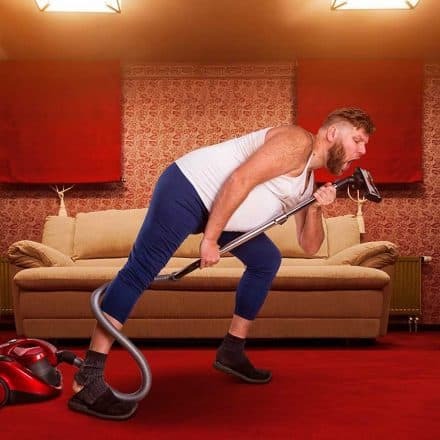 60 minutes continuous vacuuming is unlikely with normal use. The V10 comes at a significant cost compared to other good cordless sticks in the market (and other great mains powered vacs too). No swappable battery like the Shark IONFlex 2X DuoClean, which would extend the running time. Trigger must be constantly pressed whilst vacuuming, which may be uncomfortable for long periods. Dyson state that the new Dyson digital motor V10 is their fastest and most powerful digital vacuum motor yet and that it spins at up to 125,000rpm. They also note that the motor provides "full-size suction power" and have tested the vacuums power using international standards for measuring vacuum performance (IEC 62885-2) and compared it to the full-size vacuum cleaner market. It is 20% more powerful than the V8. It's worth noting that this testing is done by Dyson at the flexible inlet with the bin loaded to full and in MAX mode. So what we take this to mean is that the vacuum performs as well as a full size corded vacuum cleaner when in MAX mode. This has been verified in independent tests - see the performance section of our review below. Another point to note about the new V10 motor is that its location differs from its predecessors - it is on the same horizontal plane as the suction wand. Earlier models have the cyclone and bin assembly at a right angle to the wand. Dyson claims the new design further improves suction power by collecting the dirt and dust in an "in-line" format. The Dyson V10 has a seven-cell, nickel-cobalt-aluminium battery, which Dyson state provides up to 60 minutes of fade-free suction. The Dyson V8 by comparison has a six-cell nickel-cobalt-aluminium battery. Dyson are heavily marketing this 60 minute battery performance in all of their ads but unfortunately the reality is that getting 60 minutes of vacuuming done with the V10 would not be the norm. You only get 60 minutes from a full charge of the V10 without using it with the motorized floor tool! This is a key point to note as when vacuuming floors, you need to use the floor tool. Indeed, if cordless vacuums are going to make their corded counterparts extinct then they will need to be able to perform to the same level as a corded vacuum for the entire time it takes you to clean your home. There are 3 power modes on the V10 (low, medium or max). 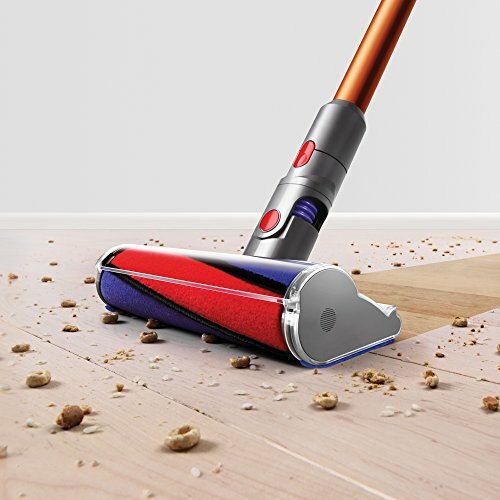 According to Dyson, in suction setting 1 on the V10, the run time will be up to 30 minutes with a motorized floor tool. Suction setting 2 will provide up to 20 minutes and the MAX mode will only provide around 6 minutes of run time with the brush bar employed. The vacuum has a battery indicator so that you can determine how long you've got left before a re-charge is needed. The small dust capacity of the V8 is a common complaint and the V10 provides a significant increase on this to 0.76L. Although this is a good improvement and puts the V10 at the top end of stick vacuums in terms of bin capacity, it is still nowhere near the capacities you get with a full sized bagged vacuum such as a Miele, which are around 2–3.5L. The design of the V10 is different to the V8 in that the motor, bin and cyclone are all in a straight line. This has the effect of drawing air into the cyclones in a straight line and as a result providing 20% more suction power compared to the Dyson V8™ vacuum cleaner. The 14 cyclones on the V10 generate forces of more than 79,000G to fling microscopic particles – such as pollen and bacteria – into the bin. The V10 is therefore a good choice of vacuum for asthma and allergy sufferers. 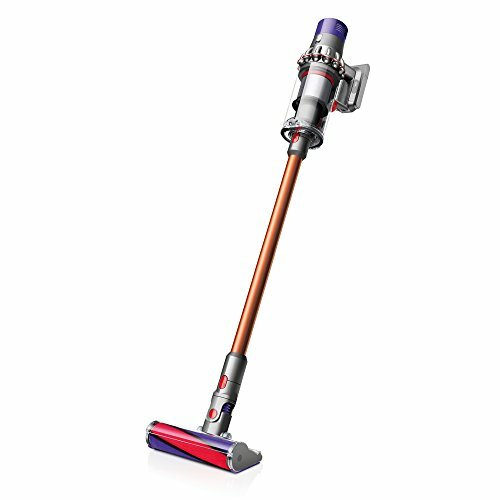 As with the earlier Dyson stick models, the V10 changes to a handheld vacuum cleaner and back again, in just one click. The filtration systems on Dyson vacuums is what sets them apart from a lot of cheaper vacuums. The V10 is no different and has the fully-sealed filtration system that traps 99.97% of particles as small as 0.3 microns and expells cleaner air. This is an important feature if you have asthma or allergies. We voted the Dyson V8 as our best quiet vacuum cleaner in 2017 and now the V10 has improved noise reduction further. It is designed to absorb vibrations and dampen sound, to keep sound levels down. In Trusted Reviews tests of the Dyson V10, at 1m from a naked cleaner, they measured around 72-73dB on mode 1 and 75-76db in mode 2. That compares similarly with current mains powered cleaners. However in Max mode they tested it to be a very noticeable 84dB. For comparison, their tests of a V8 on Max mode in the same room at the same distance measured around 79-80dB. Dyson V10 Absolute - includes both Torque Drive and Soft Roller Cleaner Heads plus all other additional tools. Dyson V10 Animal - includes the Torque Drive Cleaner Head plus all other additional tools. 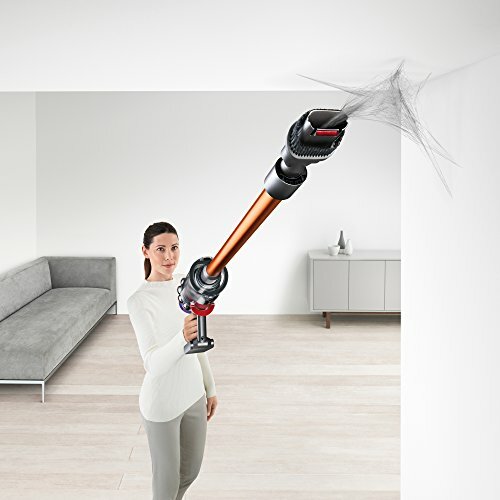 Dyson V10 Motorhead - includes the Motorhead Cleaner Head (same as the Direct Drive Cleaner Head featured on the V6, V7 and V8) plus crevice tool and combination tool. 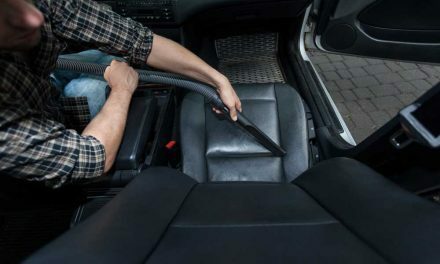 With stiff nylon bristles to remove ground-in dirt from carpets, and soft anti-static carbon fibre filaments to remove fine dust from hard floors. 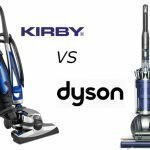 In our assessment of the Dyson V10 we've reviewed the specification of the vacuum cleaner and compared it against its predecessors and other vacuums in the market. We've also researched and reviewed results of independent tests from organisations such as Consumer Reports amongst others. In addition we've looked at feedback from consumers that have been published on the manufacturer's and suppliers' websites and to see if there are any common complaints or indeed positive points that we weren't aware of. 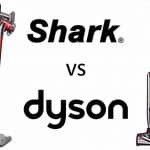 So you can rest assured that in this Dyson V10 Review we are presenting not just our opinion but a combined view taken from a number of credible, reliable sources. Let's look at some key issues. Can the Dyson V10 really be used for 60 minutes vacuuming? As we've mentioned, Dyson have strategically marketed the V10 as delivering up to 60 minutes run time from its 25.2 V / 2600 mAh battery, however there is a large variance in run time the vacuum will deliver depending on the power setting that you use. The table below shows the official run-times we've been given by Dyson so you can clearly see what is on offer. However, you should take this as a guide only and runtimes will vary further depending on the type of flooring that you are vacuuming - hard floors delivering the longest runtime, followed by low pile carpets then high pile carpets. 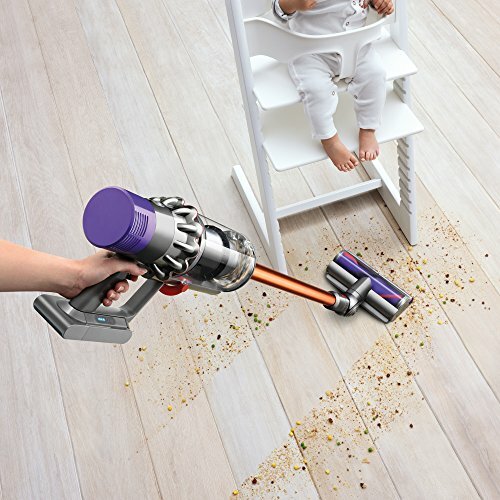 Please keep in mind that the high power max suction mode is meant for quick spot cleaning or tough jobs, not necessarily for vacuuming your entire home. Suction modes one and two would be sufficient for vacuuming the home as well and may give you more run time. Following the above advice will mean that you get optimum runtime from the V10. 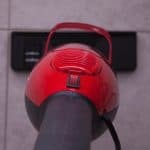 It is not practical to run the vacuum in max mode for all your vacuuming tasks since the battery will completely drain in a short space of time. An obvious improvement that could be made would be to make the battery replaceable (like the one on the the Shark IONFlex 2X DuoClean), which would double the possible cleaning time. In terms of longevity, there are no concerns, with the Dyson V10 battery being confirmed by Dyson as built to last for 15 years. Dyson claim that the V10 has 25 percent more carpet pickup than the V8 and this was verified in Consumer Reports tests. So the suction performance of the V10 is the best you will currently find amongst cordless stick vacuums. 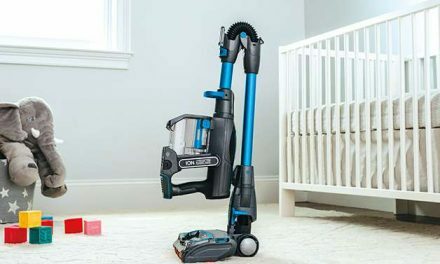 However, the overall performance was only rated by Consumer Reports as being in the "middle of the pack" compared to full size upright vacuums on carpet. When we look at the air watts of the V10 you can see where Consumer Reports are coming from in there assessment. As you can see from the above table, the V10 delivers 151 air watts of suction when on Max mode. This compares to the 180 air watts that the Dyson Cinetic Big Ball upright vacuum is capable of and so even in Max mode, the V10 doesn't quite measure up to a top performing upright like the Dyson Cinetic Big Ball. If we are to compare the performance of the V10 to the performance of an average upright model in our ratings, both the V10 and V8 would score a Good, or a 3, in our carpet test rating. Dyson's V10 has 3 suction modes as shown in the table above: one, two and max. In addition the torque drive cleaner head also has 3 switchable power modes of minimum, medium and max located on the head itself. The longest run times are available using the lowest suction and power modes. The V10's suction and agitation is comparable to a full size upright when in max modes using the torque head and this has been verified in Dyson's testing and independent testing. However in suction modes 1 and 2 the air watts delivered is significantly reduced and is much less than you would find on many full size corded vacuum cleaners. The video below from AskDyson confirms the info above along with some guidance on the different power modes. Can it Really replace your corded vacuum? Consumer Reports think not. We think it depends. If you have an apartment or smaller sized home without extensive carpeting then this could be a solution for you. For those with extensive carpets or larger homes we would still recommend a corded vacuum cleaner. The technology and performance on the V10 is state of the art, however battery run time is still the limiting factor. In our opinion, the Dyson V10 is not yet ready to replace mains powered vacuum cleaners in all homes, although it is the best cordless stick vacuum that we have reviewed to date. Dyson claim a 60 minute cleaning time is possible, however this will not be the case for all floor surfaces and on full power. 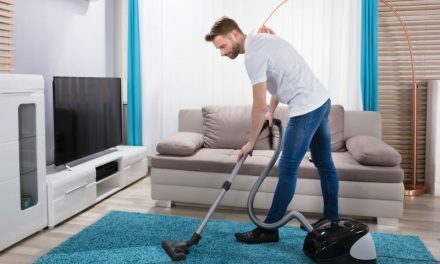 Whilst the performance is exceptional, doubters will point to the short battery run-time of only 6 minutes on Max mode as a reason why corded vacuums are still essential for extended cleaning. 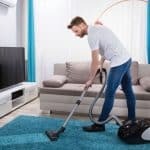 If used regularly though to keep on top of your home cleaning it is certainly capable of being your main home vacuum if you don't have extensive carpets or a large home. 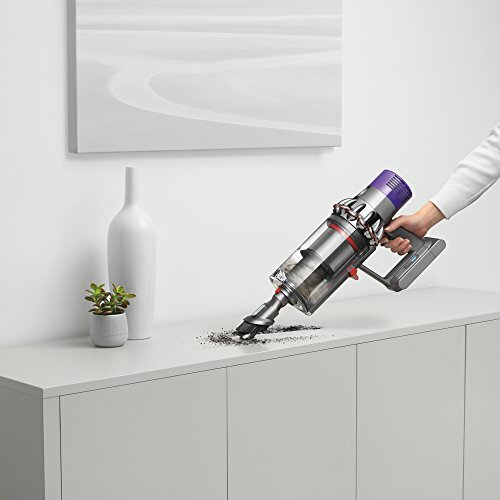 As battery technology continues to improve, it will only be a matter of time until corded vacuums are phased out and Dyson have certainly made significant progress down that road with the V8. We really like the improvements that have been made to the design in the key areas of battery run time, suction performance and dirt bin capacity. Battery run time and cost aside, the only other complaint that we've come across is that the trigger needs to be constantly depressed for the vacuum to be on and cannot be locked off. Some find this uncomfortable after long periods, whilst for others it is no problem at all as the trigger is very light to press. The Dyson V10 is the best cordless vacuum cleaner that we've reviewed to date. If you want a cordless vacuum and are ok with the cost and the battery run times on offer and want the best technology available then this is your best option right now. 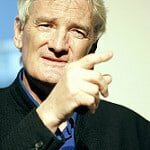 Finally, if you really want to get into the science behind the new Dyson V10 we highly recommend watching the video below of Sir James Dyson unveiling it. 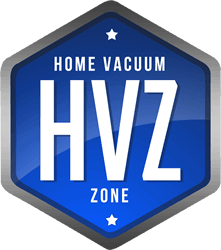 It is nearly 30 minutes long but as we are vacuum fanatics here at Home Vacuum Zone we absolutely love it and maybe some of you will too. Dyson vacuums have indeed come a long way: "quantum leaps in electric motor development" as the great man says himself. 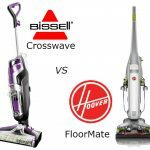 Hoover vs Dyson – how do their latest models compare?